Are you a cyclist? Maybe you're a casual bike rider? Are you interested in starting a regular cycling routine? 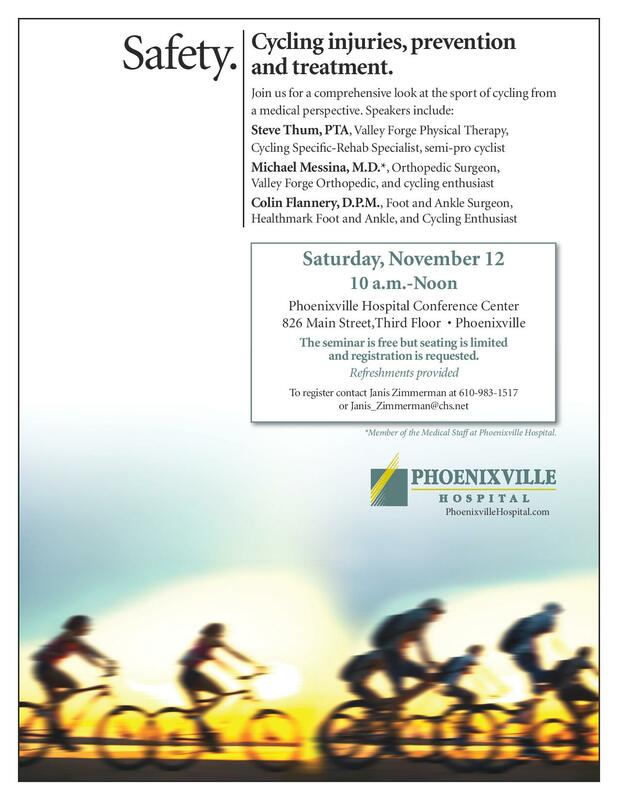 Come join us Saturday morning November 12th at the Phoenixville Hospital Conference Center for a series of lectures and workshops on cycling injuries, prevention, and treatment. All are welcome to attend and are eligble to speak one-on-one with the various specialists that will be participating, including Healthmark's Dr. Flannery. This event is free for all. We encourage everyone to come check it out!